Just days after reports spotted a compact phone from HMD Global on US certification site FCC, reputed tipster Evan Blass (@evleaks) has outed the alleged press renders of the Nokia 1. The photos show a smartphone with a compact form factor, apparently meant for the budget segment. Additionally, Blass also posted renders of what is supposed to be the rumoured Nokia 7 Plus. The Nokia 1 is seen to sport a single rear camera, while the Nokia 7 Plus is shown to have a dual rear camera setup. 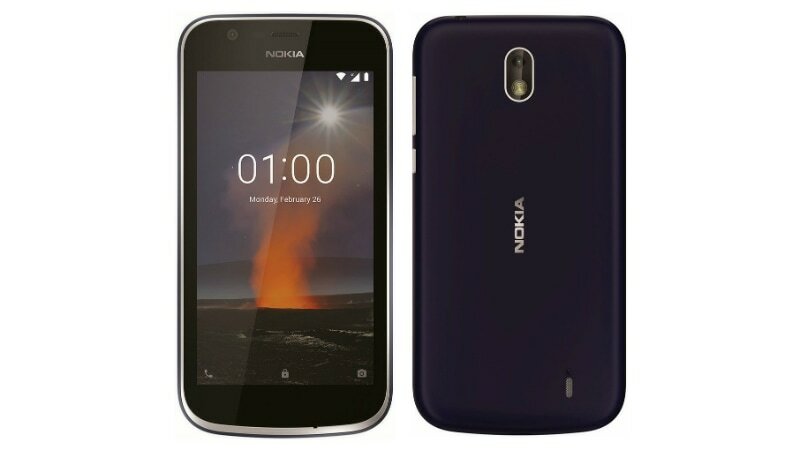 This seems to be the first instance where we have seen renders of the rumoured Nokia 1 from a credible source. The curved body design in the Nokia 1 renders is, however, unlike the leak we saw last week. Apart from that, the smartphone is seen in two unnamed colour variants. Previous rumours of the Nokia 1 suggest the entry-level smartphone will sport an HD (720×1280 pixels) IPS display along with 1GB of RAM and 8GB of inbuilt storage. Blass also tweeted two images of the upcoming Nokia 7 Plus. The images reveal that the phone will run Google’s Android One out-of-the-box. Additionally, the renders show the Nokia 7 Plus will sport a dual rear camera setup with Zeiss lens and dual LED flash. There is also a fingerprint sensor below the camera module. Rumours around the Nokia 7 Plus suggest the mid-range smartphone will be announced at MWC 2018. Reports claim the Nokia 7 Plus is expected to sport a 6-inch, 18:9 display, and a dual 12-megapixel + 13-megapixel camera sensor module on the back. The phone might come with 4GB of RAM and 64GB inbuilt storage.